“Ionel Alexandrescu is a Romanian artist living in Turin, Italy for the past 13 years. 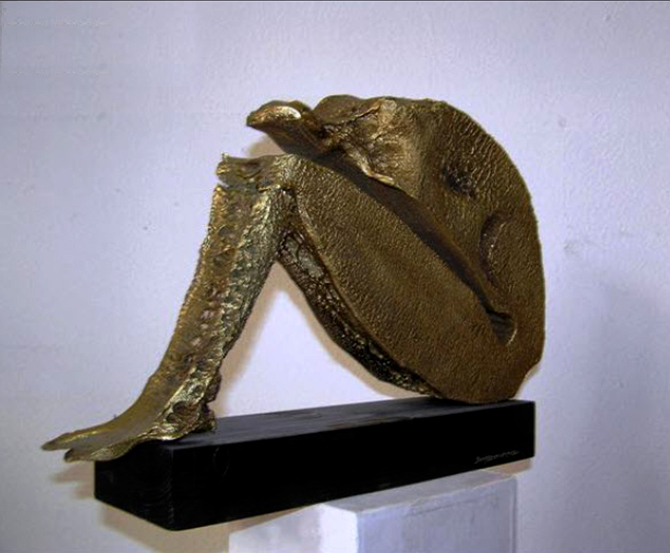 He was born at Bordesti in 1960 and graduated from the Art Academy in Bucharest, the sculpture program. He starts his artistic activity working, for approximately 5 years, on the Cotroceni Palace and House of the Republic (presently the Palace of the Parliament) famous ornate interiors. 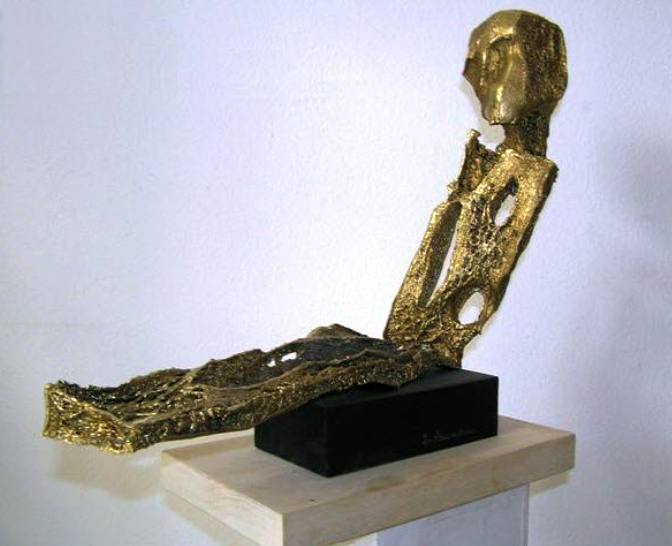 In 1998 he moved to Turin where he opens his own sculpture studio. 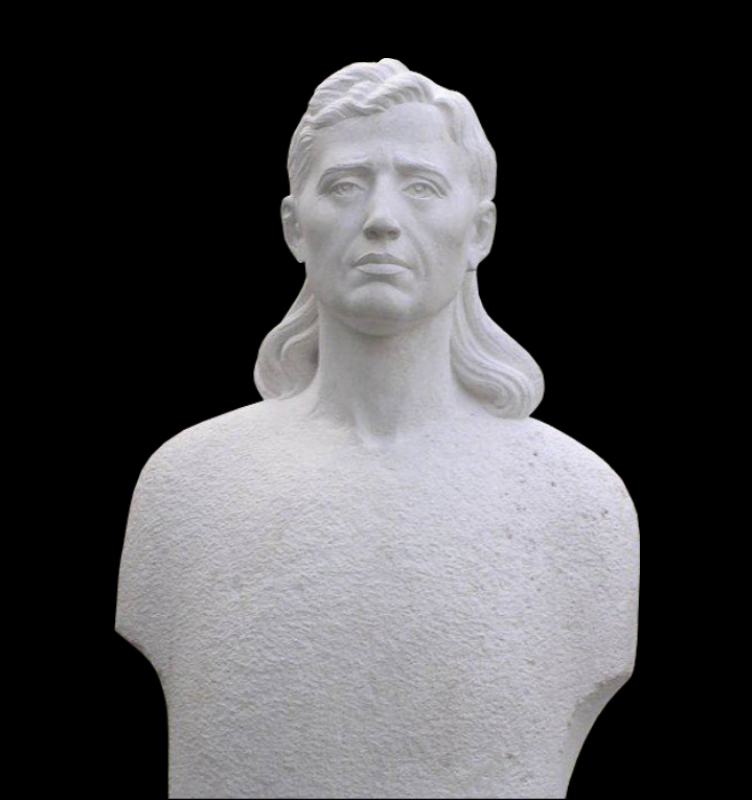 Ionel Alexandrescu opens the door to a collection of extraordinary works, many of them monumental however of an unimaginable lightness. 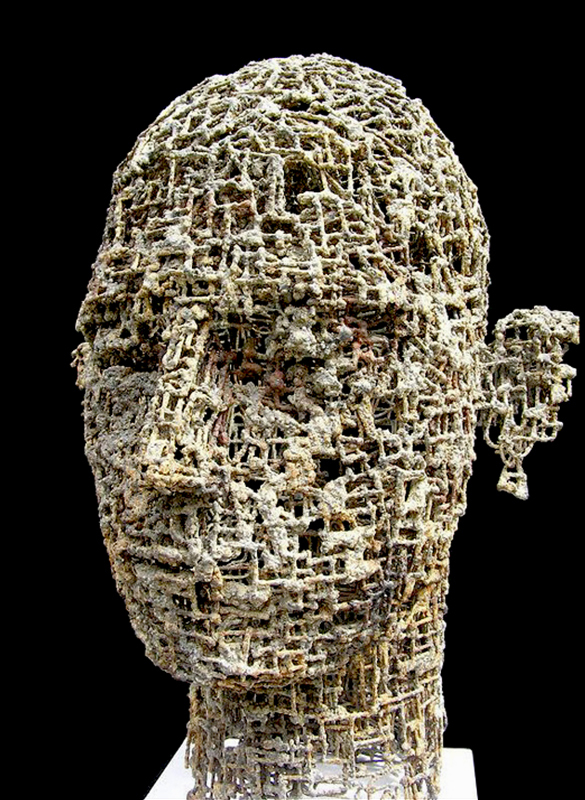 His creations represent the search of the human being and his life, always giving them a spiritual connotation. 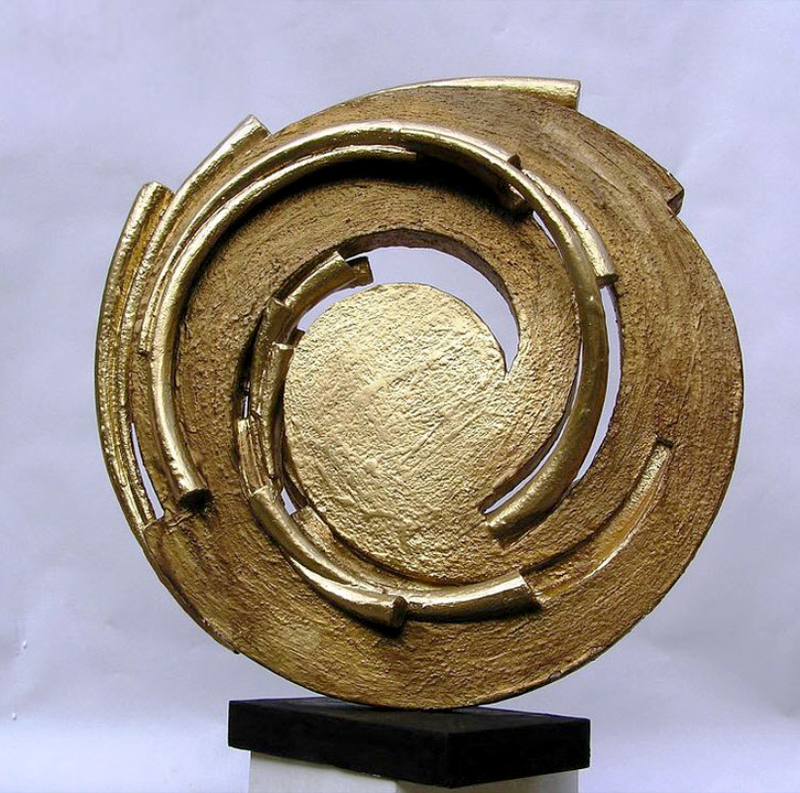 He is expressing himself through materials like wood, bronze, resin and iron, creating art which is full of vitality and extraordinary dynamism. The shapes he creates are in a perfect compositional harmony and they induce a peaceful and meditating state to anyone looking at them, they bring joy to both the eye and the soul. 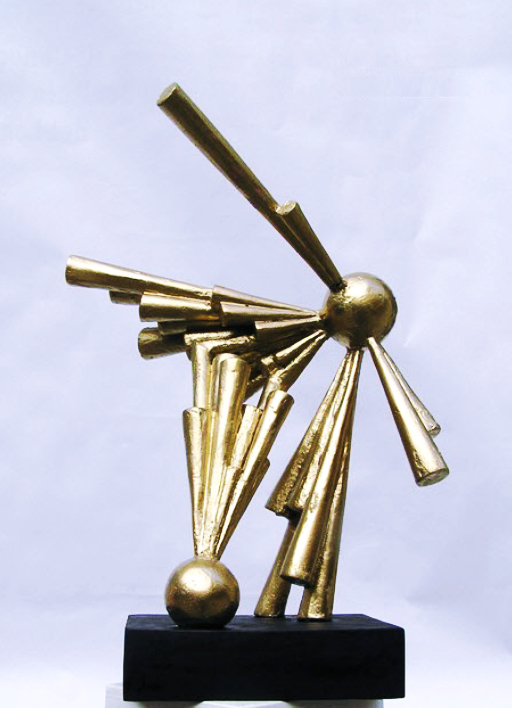 Ionel Alexandrescu is an award winning sculptor with a reputation for consistent talent in creating innovative and beautiful pieces of art.